Camping is so popular for families here in the Northwest and generally a very affordable way to visit new places. If you are looking for something very budget-friendly & affordable, did you know that there are actually a number of places that you can camp for FREE around the Northwest? There are a number of public lands that do offer camping at no cost – they may not have many services like water or flush toilets, but if you can rough it a bit, you can find some great, out of the way spots. Most of these are available on a first come, first serve basis, but if you are a bit adventurous, it does not get more affordable than free. Also, here in the Northwest, the most popular time for camping is of course in the summertime, but many locations will open up their sites with free or reduced rates once the busy season has passed, so those are great options as well. We’d love to hear all of your suggestions & tips on where you’ve found great free campsites & if you have any reviews or tips to share about any of these locations we’ve found. (If you need tents or supplies, now is not a bad time to buy them, too. You can often find them on sale in the stores, or Amazon has some good tents marked down right now as well in their camping supplies store here. You can also find sales and deals on camping supplies, on this page here.)! We have just featured a highlight of free campsites that are found across the Northwest in Washington & Oregon, but there are many more that are available. Here are some of the resources we found for finding free campsites in the Northwest for you to see if there are more options in an area you want to check out. Bureau of Land Management Website – This is another official resource for BLM lands. You can select camping as an option to search & then the area & it will give you a list of places to camp – you will then need to go thru & find which ones are free. Campendium Website – features free campsites for across the country including listings for Washington & Oregon plus reviews from readers who have gone to these campsites. This is more of a community -driven website, so you may want to try to confirm these locations with another website such as the WDFW Lands website. 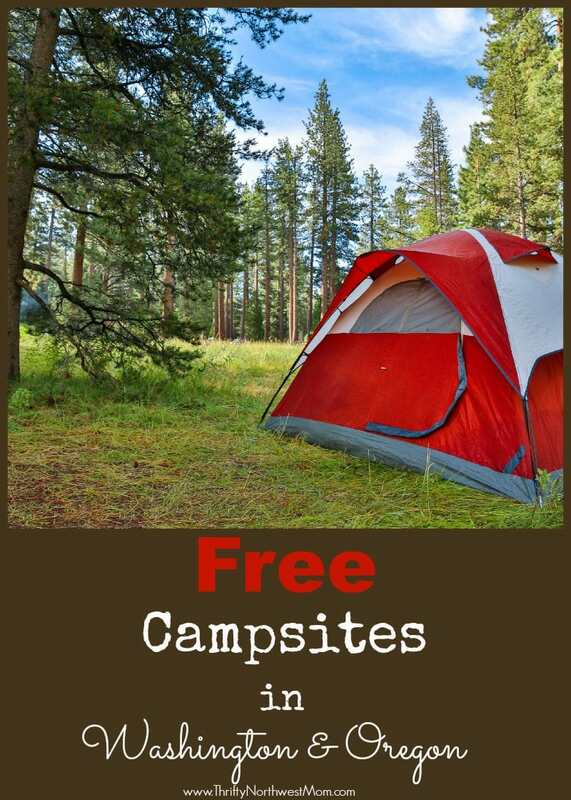 Free Campsites.Net – This is another site that is community driven, with reader reports & reviews, but I’d encourage you to also try to confirm these with another website such as the WDFW Lands website. We found it worked best to use a combination of these websites (starting with the Campendium & FreeCampsites) websites to get names of free camp locations & then we looked them up on the official sites. You can also buy Forest Service maps of specific National Forests to get more specifics on areas where you can camp for free in those locations. The passes they offer are either to reduce or waive camping, moorage, watercraft launch fees or day use fees. Make sure to head to the Washington State Park website to find out all the details. This does not cover yurts, cabins & other fees. Make sure to check out the Oregon State Parks website to see all the details & what it all includes (does not include yurts, cabins, etc) but camping & day use fees. You can find available campgrounds that need hosts by searching this website for National Parks & Forests all around the country. I found a number of locations in Washington and Oregon, so definitely check that site out to see if there’s an option that will work for you. I would think you’d need to schedule this out far in advance though. 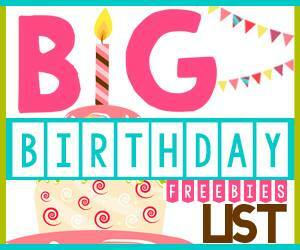 Let us know if you have other ideas of ways to get discounts or free passes for camping! *Disclaimer – We have not checked out these sites personally but have found these sites thru a combination of the resources mentioned above. However, we do recommend you always do your own research to make sure these will work for your family & your needs. Pine Lake Unit – Whatcom Wildlife Area – Bellingham, WA ; To get to this rustic campsite, you will need to hike in. One reader who shared her experience camping here said that the hike is straight uphill into the two lakes–pine and cedar. It is not an easy trek. Rustic camping is allowed here but no campfires. The property is mostly wooded, with open water and wetlands at the lakes. The trail to the lakes is a popular hiking spot and fishing is very popular as well. There is a parking lot and a restroom facility. Gorge Lake Campground – Diablo, WA ; This free campsite is open year round with no water, services or fees. A vault toilet is available. There are 6 different sites available to camp and it is first come, first served. Check out time is 12:00 noon. Bring your own water, pack out all trash, and enjoy nearby hiking trails, fishing on Gorge Lake, and the boat launch on Gorge Lake. This is nestled in the North Cascades, right near Diablo Lake & Ross Lake, which is a gorgeous area to hike and explore. Carbon River – Buckley, WA ; The maximum RV length permitted here is 30′. This site is located in the Snoqualmie National Forest overlooking the Carbon River and Mount Rainier National Park. Arrive early in the day for the best spots. Middle Waddel Campground – Olympia, WA ; This campsite requires a Discover Washington Pass and is open May through November. Camp for up to 10 days and enjoy amenities such as vault restrooms and a recreational trail. Cowlitz Wildlife Area – Randle, WA ; There are 16 – 29 campsites in this area & the maximum RV length is unlimited. This area is mostly paved with a few areas suitable for tents. There are also some trees in some places for shade. This area is within driving distance of both Mt Rainier & Mt St Helens. Oak Creek Unit – Naches, WA ; This is a popular area for hunting, camping, rafting, and rock climbing along the Tieton River. A visitor’s center is staffed by volunteers during the winter and has lots of information on the different wildlife. There is a very large gravel parking area and viewing platform and 3 vault toilets open year round. Roads that are open to motor vehicles are marked with a white carsonite post with a green dot. Viewing sites require a Discover Pass or WDFW Vehicle Access Pass to park. Reservations are recommended and must be made 24 hours in advance. Dillacort Canyon Unit – Klickitat Wildlife Area – Goldendale, WA ; There is a water access site along the Klickitat River that is popular for camping and fishing. The best camping and parking area is near Milepost 5, on the west side of Highway 142. Rules for the use of the trail are posted at the access points. Mineral Springs Unit – Klickitat Wildlife Area – Goldendale, WA ; Overnight camping is permitted. Parking is permitted along the road and in camping areas. A vault toilet is maintained in the campground. Campfires are allowed except during the seasonal burn ban usually from June 1st through October 30th. Hiking and boating are both popular here. Soda Springs – Klickitat Wildlife Area – Goldendale, WA ; Overnight camping is permitted. Parking is allowed along the roads and in the camping areas. There are no restroom facilities in this area. Camping in upland areas is permitted, provided that visitors use established camping sites. Contact the wildlife area headquarters at 509-773-4459 for more information on upland camping spots. Visitors to all camping areas are required to pick up after themselves; no garbage collection facilities are available. Twentynine Pines – Cle Elum, WA : This is a free campsite that is a first come first served basis. Campfires are not allowed other than in approved campfire pits. The campgrounds open typically in mid April and are accessible seasonally. Some toilet access is available. Teanaway – Cle Elum, WA. This is a free campsite with first-come first serve basis (no reservations). It is located along the west fork of the Teanaway River and the camp offers 64 campsites with fire rings & 2 ADA accessible toilets. Campfires in campfire pits only. This will open up sometime in the spring when conditions allow. Grasshopper Meadows Campground – Leavenworth, WA ; This free location has 1-5 campsites with river access. Perfect for swimming in the summertime! Liberty – Liberty, WA ; There is no maximum RV length but the road is gravel, not paved. Amenities include picnic tables and restrooms. Located just outside the old mining town of Liberty. There is a small stream nearby which is great for washing dishes or panning for gold. Old Forest Service Campground – Lake Wenatchee, WA ; There are a lot of picnic tables and fire rings, plus a creek runs beside it. There is a decent outhouse as well. It isn’t too far off the highway but it is tricky to drive in muddy or snowy weather as it is inclined. Some reviews report 4G reception and others recommend not camping in anything larger than a Class B RV. Chesaw Unit – Scotch Creek Wildlife Area – Okanogan, WA ; The Chesaw Unit offers pack-in style camping. Firewood can be gathered from downed dead wood only and MUST remain on the wildlife area. Length of stay is limited to 14 days. Developed camping opportunities are limited while undeveloped camping opportunities can be found at WDWF Molson/Sidley Lake access areas. Hiking, biking and horseback riding are all permitted. Pogue Mountain Unit – Scotch Creek Wildlife Area – Okanogan, WA ; This unit offers pack-in style camping. Length of stay is limited to 14 days. Parking, camping, restrooms, fishing and a boat launch is available at the Green Lake access site. Hiking to the more remote areas of Pogue Mountain is to the east from this campground. However only those in good physical shape should plan a trip from this direction as the hike is steep and rocky. Fish Lake #1 – Tonasket, WA ; This free campsite has several primitive camp site options near the lake. It is about 10 miles off of US Route 97 and 18 miles from Omak. This part of the lake is best for smaller RVs. There is a vault toilet available but no other amenities or cell service. Very secluded. Crawfish Lake Campground – Tonasket, WA ; This free campground has 19 dirt campsites and is open seasonally. It is located on the national forest side of Crawfish Lake. Most campsites are on the water and there are also vault toilets. Enjoy dinner around the fire ring or at one of the picnic tables. Charles and Mary Eder Unit – Oroville, WA (Okanogan area) Camping is limited to the reader board site at the entrance to the wildlife area. This is the only access road to the area, as the rest of the perimeter is bordered with private property. Hiking, biking, and horseback riding are all allowed. The Eder Unit is an important wintering unit for both mule deer and white-tailed deer. Evergreen East – Quincy, WA ; This highly rated campsite is known for being quiet, clean, and popular for fishing. It is free to camp here with a maximum stay of 15 days. There is water access and also vault restrooms. Buzzard Lake Unit – Sinlahekin Wildlife Area – Loomis, WA ; A recently improved primitive campground can be found on the northeast corner of the lake but there aren’t any restrooms available. Buzzard Lake has a lot of wildlife such as black bears, moose, waterfowl, cougars and songbirds. Trout fishing is very popular at this lake as well. Colockum Wildlife Area – Malaga, WA ; Hunting, camping, and wildlife watching are popular forms of recreation here. Although there aren’t restrooms and the area is pretty primitive, the wildlife is so diverse making it an interesting place to stay. Colockum roads are extremely primitive. High clearance, four-wheel drive vehicles are recommended. Carry water, supplies and a spare tire. Toats Coulee Campground – Loomis, WA ; This small, isolated campground is right by the river. There are restrooms on site and it is said to be very clean with great scenery. Northend/Canal Lake North – Warden, WA ; This free campsite is open seasonally for tent camping however it does require a Discover Washington Pass. It has a pit toilet, a boat launch, and lots of room for hiking and fishing. You’ll need to bring your own water, however. Rocky Lake – Colville, WA ; This free campsite has 7 different campsites and you can tent camp there as well. It has a fire ring, picnic table, a vault restroom, and water available. Maximum stay of 5 nights. Big Meadow Lake Campground – Colville National Forest – Ione, WA – This free campground is equipped with 17 campsites with picnic tables, fire pits and tent pads, interpretive trails, a boat launch, and a nice fishing dock. Some campsites are private with a lake view. There are toilets but there is no drinking water or garbage disposals. Reservations are first come, first served with no fee. Quiet hours are between 10pm and 6am and the nearby Hess Homestead Cabin is available for day use. Wickiup Campground – Umatilla National Forest – Pomeroy, WA – This free campsite is first come, first serve for tent camping. Amenities include picnic tables, toilets, and parking. This campground offers great hiking, hunting, and views. Cold water springs are available 100 yards below the campground and fishing can be found at Ranger Creek (within 5 miles of the campsite). Pataha Campground – Umatilla National Forest – Pomeroy, WA – This free campsite is perfect for tent camping on 3 sites. There are lots of opportunities for hunting and fishing plus there is a vault toilet available. Godman Campground – Umatilla National Forest – Dayton, WA – Godman Campground is a free campground for tent camping. It has several secret treasures and recreation opportunities such as hunting, fishing bicycling, and hiking. There are picnic tables, toilets, and parking available. Wilderness restrictions apply meaning weed-free feed is required for stock animals and the trail is closed to all motorized and mechanized equipment including mountain bikes and carts. Forest Boundary Campground – Umatilla National Forest – Pomeroy, WA – This free campground is great for tent camping. It has picnic tables, toilets, parking, and a fantastic view overlooking Scoggin’s Ridge with great sunsets. Cougar Valley State Park – Nehalem, OR – This free site has 6-15 campsites available. It is a very wooded area that offered secluded camping for free. Gravel roads are common but there are also grass and dirt trails off the gravel road. There is decent fishing and swimming in nearby creeks and the site is just 15 miles from the beaches. Jones Beach – Westport, OR – This location is free although a 4×4 is required. It is mostly used as an ATV area but camping along the river is allowed. You are only allowed to stay for one day, but it is neat to camp on the beach. There are no restrooms but there are picnic tables. Round Lake Campground – Estacada, OR – There are 6 campsites available for free here in the Mt. Hood National Forest. There are two pit toilets, hiking trails, and horse trails. Upper Lake Creek – Horton, OR – This free campsite is near Hult Reservoir which is a popular place for canoeing and fishing. There are a few fire rings but no picnic tables. Mineral Camp Campground – Dorena, OR – This campground is open March 15th through September 15th. It is a small campground with 3 sites, fire rings, picnic tables, and vault restrooms. You can stay for 14 days here but please pack up your own garbage and bring your own drinking water. Crater Lake NP – Klamath Falls, OR – This site is free between winter and summer seasons. There is a huge parking lot, a nice snow shelter with picnic tables, a fire pit, and even electricity including outlets. Mt. Ashland Campground – Ashland, OR – This free campsite is open May through October with 1-5 campsites and a maximum RV length of 25 feet. You can stay for up to 14 days there, plus they have amenities such as picnic tables, trash cans, and restrooms. Popular things to do near this site include biking, hiking, hunting, and wildlife viewing. Bastendorf Beach Road – Coos Bay, OR – This free campsite has 6-15 sites available but you can only stay one night here. There are trash cans and restrooms here, and the nearby Sunset Bay Campground has walk-in hot showers for just $2.00. Medco Pond – Medco Pond, OR ; This free campsite is paved with 6-15 campsites, some big enough for RVs. There are lots of activities such as bird watching, fishing, boating, and hiking. The spot remains pretty busy due to its excellent fishing. Fire pits are a decent size as well. Pine Mountain Observatory – Central OR ; There is a primitive Forest Service Public Campground with just 4 sites, which is first-come-first-serve across the road from the observatory and is rarely full. There are no fees. Bring water to drink and extra water to put out campfires with are regulated by danger levels. Crane Prairie Reservoir – Bend, OR – This free campsite has dirt campsites available up to 30 nights. It is located near water and there are fire rings and boat ramps nearby. This isn’t recommended for RVs as the roads are narrow and dirt only. Showers are available at the Crane Prairie Reservoir Lodge. 3 minutes will cost $1.25 in quarters. Sparks Lake – Bend, OR – This free campsite has 6-15 sites available with a maximum RV length of 15 feet. It is located near water so boating is a popular thing to do here along with fishing and swimming. Prineville Reservoir – Prineville, OR; This free campsite is a great spot for boating, fishing or swimming. The road is dirt so it may be tricky in inclement weather. Amenities include a boat ramp, restrooms, and it is located near water. Barnhouse Campground – Central OR (near Prineville); This free campsite has 6-15 different spaces to camp. There is no potable water available ut there are picnic tables, fire pits, gravel campsite spurs, and vault toilets. Avoid hunting season as there are a lot of deer and birds at this location. Walt Haring Sno Park – Chemult, OR – This overnight campsite is free and is a great place to rest during a trip. There is a town about a mile away with a few restaurants and Forest Troopers check in on the area each day. Snake River – Ontario, OR – There are a number of free sites available just off I-84 on Highway 201. They are first come, first served, but you can stay up to 14 days. This campsite is said to be very clean with very little traffic. There are bathrooms, picnic tables, and fire rings. The reviews for this site are very good. We would love to hear your reports of where you have found the best free camping sites & if you have any reviews of any of these locations we have listed! You left a few notes off of Council Lake. The camping spots are first come first served. There is only one spot big enough for a 32ft. RV. The rest are for very small RV’s, tent trailers, trailers or tents. Nonmotorized boats only. Paddle or battery only on the lake. Great fishing! There is a trail around the lake or hike the easy one mile up the old service road to Council Bluff for a 360* view of 4 volcanoes. Great feedback, thank you Sue! We will get that updated in the post. This has to be like asking for the whereabouts of the Holy Grail, but are there any free-access lands in Washington State that do not require any payment, pass or permit? Not just campgrounds, but any forest road that can be legally traveled by a person who lives in Washington State? I just want to get off of the pavement! Wow, what a fantastic round-up! I was just thinking how difficult it is to get a campsite these days and pay less than $25. Glad there are still plenty of free sites if you know where to look. Where’s your favorite? Yes the prices have definitely gone up a lot more! 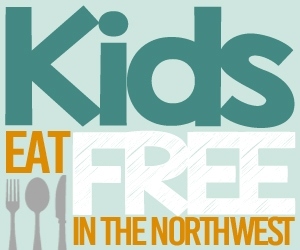 We do have a low-cost campground list (all under $20) for the NW here, too: http://www.thriftynorthwestmom.com/low-cost-campgrounds-in-washington-and-oregon/ . I found some cool free campsites near Randle WA (close to the Cispus Environmental Learning Center, right on the river) – they looked gorgeous to camp in! Thank you so much for this article. It’s so helpful! You’re very welcome – glad it is helpful for you!